SAN FRANCISCO -- The Mega Millions prize is getting closer to $1 billion after no jackpot winning ticket was drawn Tuesday night. Lottery officials increased the estimated jackpot for Friday night's drawing $868 million. The winning numbers drawn Tuesday were: 3, 45, 49, 61, 69 and Mega Ball 9. 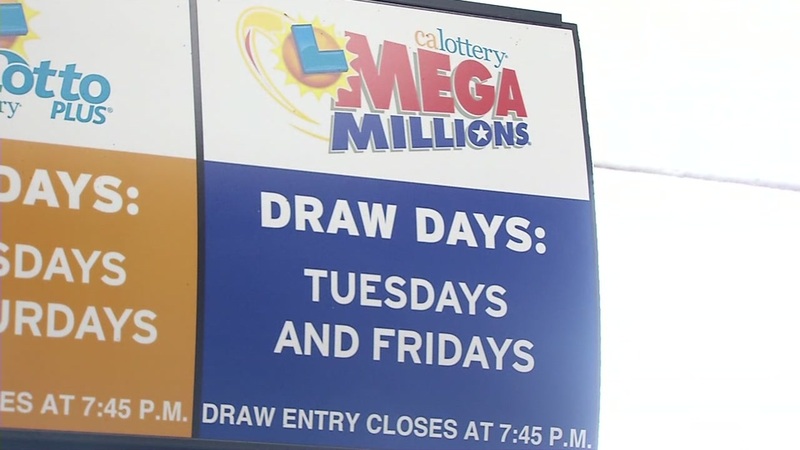 A ticket matching all but the mega number was sold in a Safeway store in San Francisco, according to lottery officials. The cash option for Friday's drawing would be $494 million.